View More In Surge Protectors - Page 2. Rated to withstand a power surge of up to1,000 joules, this surge protector uses complete, three-line AC protection specifically designed to safeguard your high-end electronic devices. 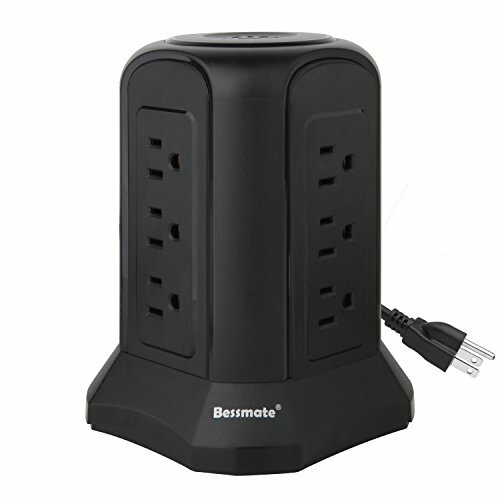 12 OUTLETS Surge Protector: Unique Vertical design Can charge up to 8 devices at the same time in one station such as cellphone, tablet, laptop,lamp,and more. It's suitable for home and office use. If you have any questions about this product by Bessmate, contact us by completing and submitting the form below. If you are looking for a specif part number, please include it with your message.